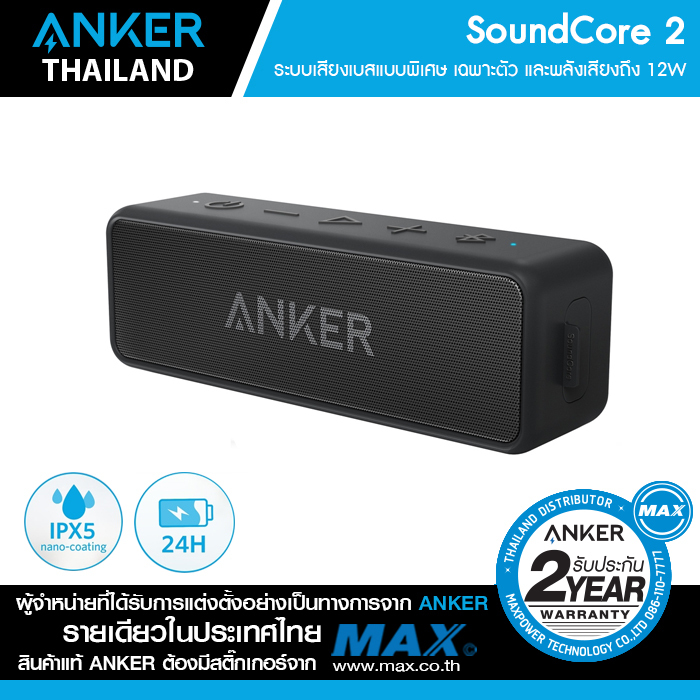 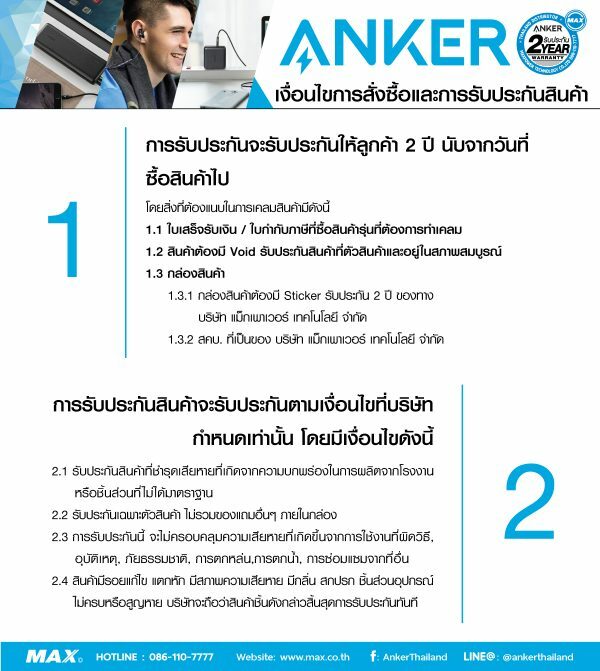 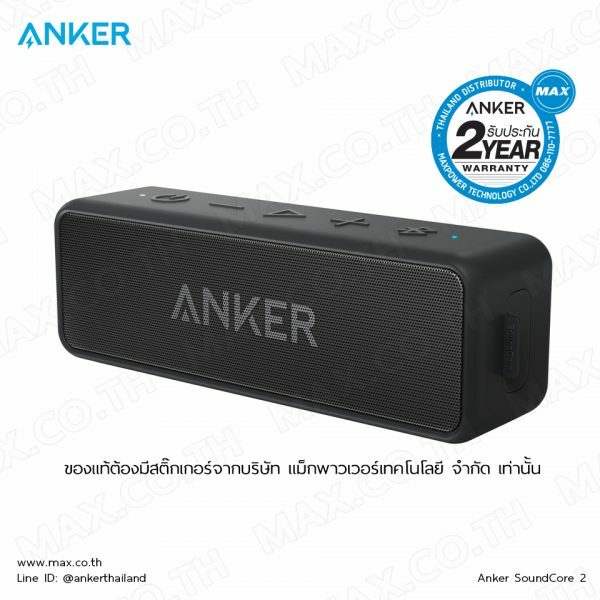 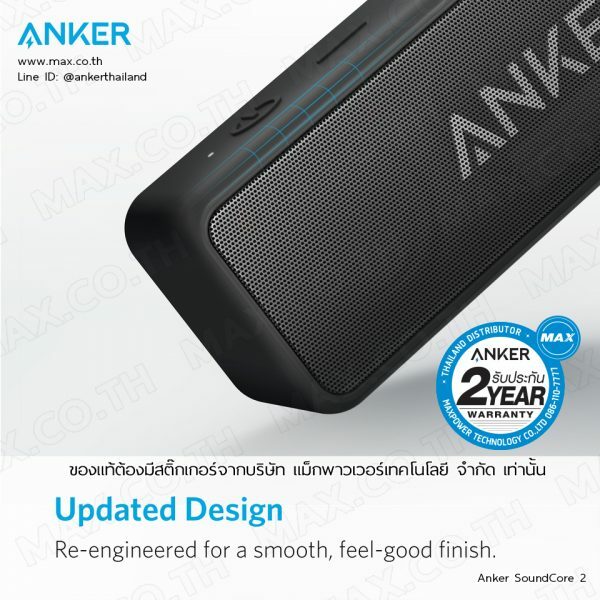 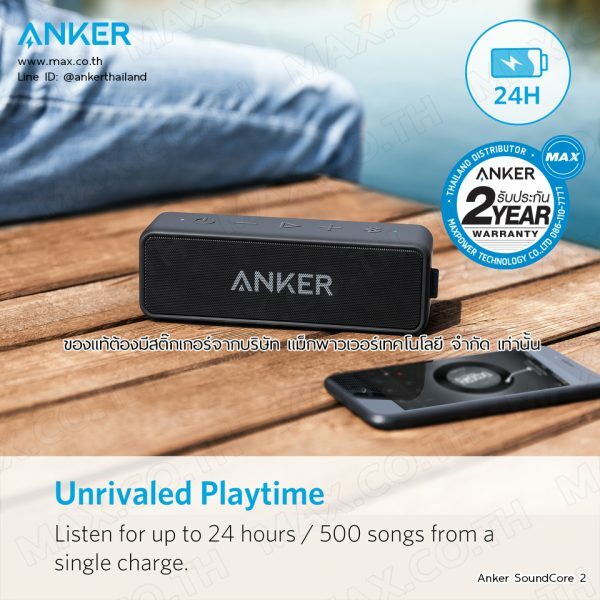 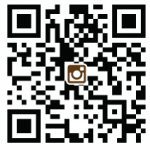 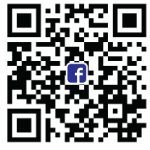 ลำโพงบลูทูธ Anker SoundCore 2 Bluetooth Speaker (สีดำ-AK84) – MAX Co., Ltd.
Unbelievable Sound: 12W of pure audio power with enhanced bass thunders from dual neodymium drivers. An advanced Digital Signal Processor ensures pounding bass and zero distortion at any volume. Intense Bass: Exclusive BassUp™ technology and a patented spiral bass port boost low-end frequencies to make the beats hit even harder. 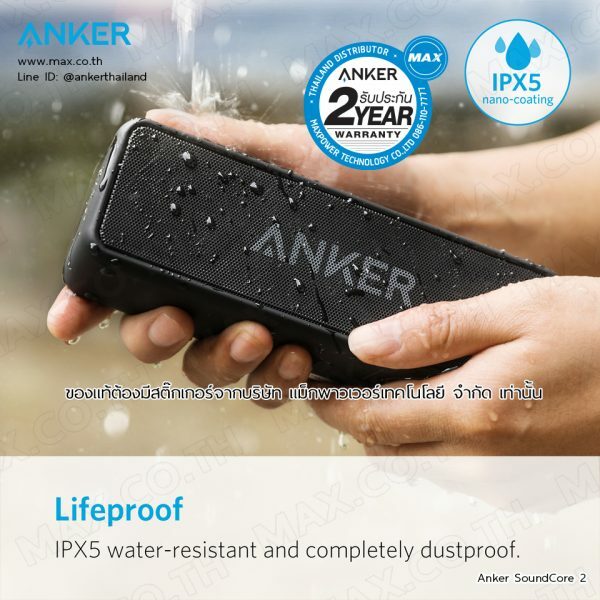 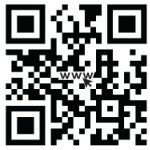 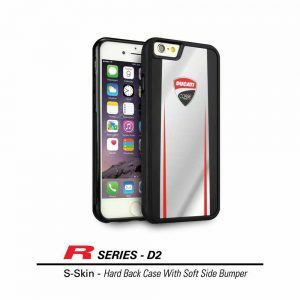 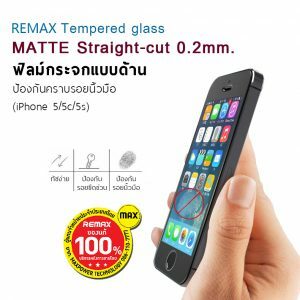 Outdoor-Proof: IPX5-protection safeguards against rain, dust, snow, and spills. 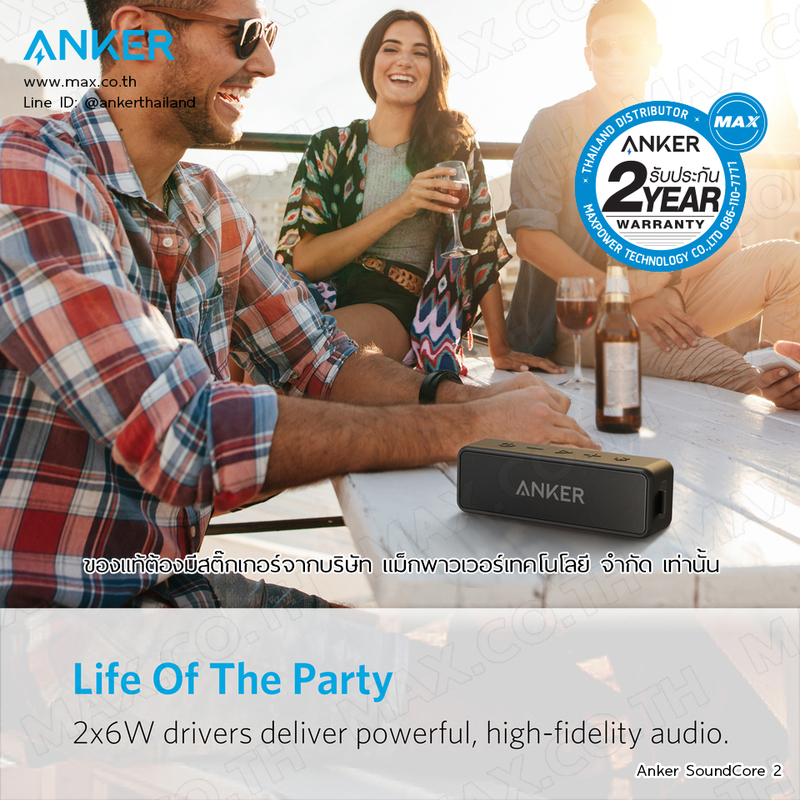 Get incredible sound at home, in the yard, or anywhere else imaginable. 24H Non-Stop Music: Anker’s world-renowned power management technology and a 5200mAh Li-ion battery deliver a full day of sublime sound. 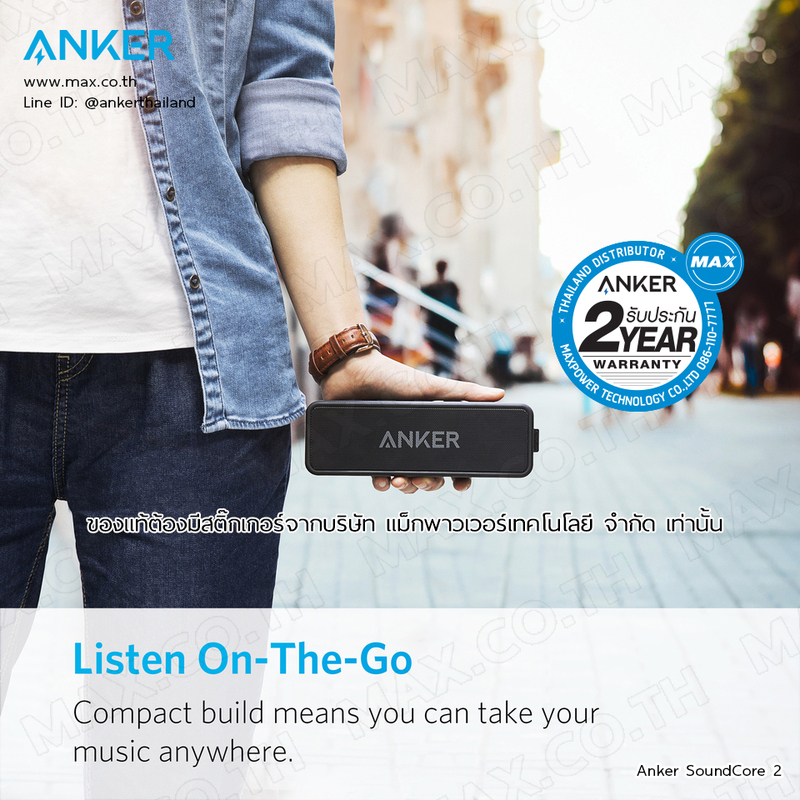 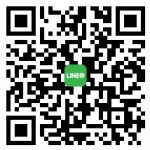 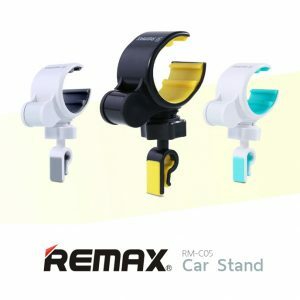 Grab, Go, Listen: Classic design that has been refined and lightened, with effortlessly simple controls.